John has been working in the testing and tagging industry since 2007 when he founded ACME Test and Tagging. 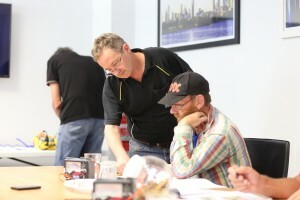 He has developed and written several courses on testing and tagging and is the founder of Test And Tag Standards Australia (TATSA) that specialises in test and tagging training courses. John is also the senior tutor for TATSA and has trained hundreds of students. Recognised as an expert in his industry, John runs a blog on testing and tagging and has had articles published in Safety Snippets magazine.